I've now had a couple of years experience with the Sony FE system, and with quite a few Sony FE cameras (A7, A7m3, A7R, A7Rm2, A7Rm3, and A9). 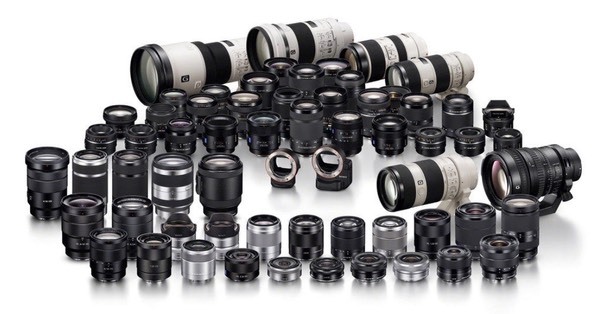 I've also had a chance to use virtually all the Sony lenses and a number of third party ones, so it's time to start thinking about "rationalizing the bag." Originally I started with an f/4 lens set (16-35mm, 24-70mm, 70-200mm). My rationale was basically buying into Sony's "smaller, lighter" suggestion. I was looking for a basic lens set that was compact and light for travel. Frankly, I've now abandoned that approach. First and foremost was that the 24-70mm f/4 lens is, well, quite a disappointment, particularly considering that Zeiss's name is on it. The old 28-70mm f/3.5-5.6 kit lens is in that disappointment category, too, so it can't sub in. The 24-240mm f/3.5-6.3 is a mess of compromises. There's not a dud among those. All very compelling lenses. And if you don't need the longer telephoto range, just sub in the 70-200mm f/4, which is a very competent performer. Some of you might opt for the Tamron 28-75mm f/2.8 in the middle, but I haven't yet had a chance to try that lens, and I don't like having the mid-range zoom stop at such a narrow wide angle. I just don't see the versatility in 28-75mm I do in 24-105mm, particularly considering just how good the 24-105mm lens really is. No questions in my mind that those make a high quality set that can go up against any other makers'. But you've upped the cost, size, and weight. Make sure you really need what these lenses deliver before jumping in fully. That fits a little bit better with my regular types of shooting (nature, wildlife, sports). As you'll see with the primes, below, I could also easily add one or two small primes for low light shooting to my basic f/4 travel bag, too. What about primes, you ask? Well, here things get more interesting. I can vouch for the Sony 90mm f/2.8 as your macro choice. Nothing really beats it at the moment; the recent Sigma 70mm just doesn't have enough working distance for versatility, though it can match the acuity. You'll end up blocking more light from the subject at 1:1 with the Sigma. From there you now have Samyang, Sigma, Sony, and Zeiss primes to consider for the rest of your options. The two (mostly) overlooked bargains are the Samyang 35mm f/2.8 and the Sony 85mm f/1.8. 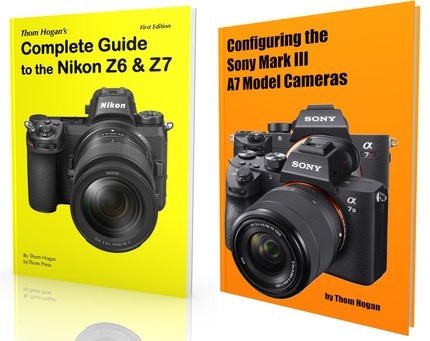 Two excellent lenses at relatively low prices for what they are. Samyang has a similar 24mm f/2.8 I haven't yet had a chance to use; I'm hoping it also is good. Yep, two expensive wide angles, and three modestly priced others that are pretty small and light. Sure, you can opt for more in the 35,50,85 trio, but you'll pay through the nose for only modest increases in something (aperture, sharpness, etc.). And the result will be a far bigger lens mounted on the front of your camera, too. Yes, quality lenses are expensive. If you're buying US$2000+ camera bodies (e.g. A7/A9), you really should be providing them the best optics up front, though. You wouldn't put beater tires on your Ferrari.